Good suspension is crucial for a comfortable drive. The drivetrain also popularly called the powertrain is a huge gas mileage component. The suspension system, on the other hand, ensures you enjoy your ride by ensuring your car offers comfort irrespective of the terrain. This is why we, iAUTOHAUS BOSCH Authorized Service Center, experts in-car selling and servicing luxury to ensure that your car is optimally working. We will ensure that be if what you are driving is a BMW, Audi, Porsche, Mercedes-Benz or a Jaguar, your desire is achieved. With 20 years of experience, we are proud to be of service to those located in Chandler, Phoenix, Gilbert, Mesa, and Scottsdale. We are located at Tempe AZ. Kindly pay us a visit today and book for our service experience. All types of cars requires servicing because they all send their power from the engine to the wheels by the drivetrain. The driveshaft and axle are some of its components and some of these bearings and gears cannot last long, therefore repair work is necessary at one point depending on the car type. Lubrication is never enough although it keeps the gears in friction free states and in good condition. The axle too breaks and cracks as it ages. At iAUTOHAUS BOSCH Authorized Service Centre, we re-install new quality joint replacements and fixtures. We guarantee extended services and durability from any installs on your luxury car. We offer affordable rates for all models and guarantee you quality. Struts or shock absorber replacements cost vary based on the model and the year of manufacture. The costs also depend with the type of vehicle, with luxurious vehicle attraction a higher cost. Visit our office facility at Tempe A.Z for competent affordable services for your car today and see why we are one of the best-selling and servicing vehicle company. We are believers of high-end expertise for high-end cars. For appointments and bookings of services with us call us on 480-317-0783. 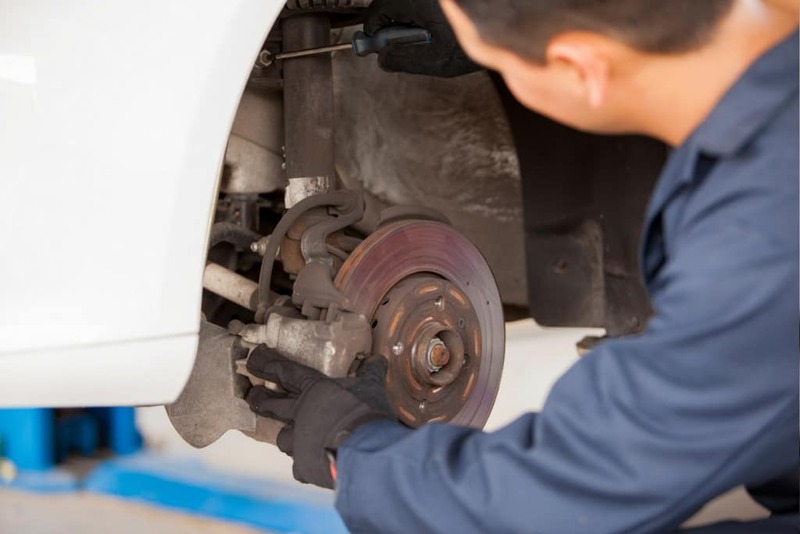 Check out our service specials page for a suspension repair service coupon. We also offer financing!